Canadian punk duo Death From Above 1979 will be out on the road supporting Incubus and Deftones on their co-headlining summer tour, but they have just added a few headline shows that include a stop in the Triangle. 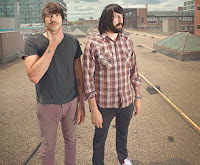 Death From Above 1979 will play The Ritz in Raleigh on Monday, August 10. The Bots will open. Tickets will go on sale at 10 a.m. on Friday, May 15, via Ticketmaster for $25. A Live Nation pre-sale starts at 10 a.m. on Thursday, May 14. Check out the creepy music video for the song "Virgins" from Death From Above 1979's latest album The Physical World below.